Mommy Musings- Of amazing inventions! The breast pump. Best invention ever. Diapers have nothing on this one. They are convenient but not exactly life changing. Smart phones too. I would easily trade my HTC M8 for my old monophonic Nokia 3310. If anything, it will save me a lot of time as truth be told, we spend a chunk of our precious time scrolling through Facebook, IG, Twitter and Snapchat. Just to catch up with the latest trends and gossip and see who has fallen victim to KOT’s ruthlessness. Playing solitaire and peak. Reading the economist. Checking email. And worst of all, using it as a scapegoat when we have been harassed enough by our toddlers, by giving them the phone to play Talking Tom. I think I would only suffer the most if I wasn’t able to use my phone to find an uber. Because I doubt the Nokia 3310 would support apps. I would carry around a camera for the photos. So the breast pump wins over the smart phone, and diapers, and mpesa (I exaggerate). Heck it beats sliced bread 10 nil, any day. For me at least. It’s Friday the 5th. Exactly a week ago, I handed in my resignation at 1.00pm after a gruelling five hours! It involved several visits to the bathroom, sweaty palms, shifting on my seat every five minutes looking for that elusive comfort that an office chair will never accord you, worse still when it knows it is just but a stepping stone! I even googled “when is the best time to resign” and the first response I got was “Friday afternoon”. How timely. Apparently, resignation is one of the most stressful periods in one’s life, worse than divorce or a financial crisis! Would you believe that? Anyway, I finally got the balls to do it. So today, exactly one week later, marks the end of an era as it is my last day here. I will be leaving a company that made me who I am today. After five solid years, I have finally mustered the courage to take on more responsibilities in a new environment. Now here is the interesting bit. Five years ago I would have waltzed straight to Klubhouse to celebrate with friends. But now, all I want to do is get home and share the news with my 3 year old daughter when she asks me “Mama how was work?” She might not understand what this means, but all the same I will tell her. Like I always do when significant things happen in our lives. Because one day she will be old enough to fully participate in these conversations. And then I will hold my 4.5 month old daughter in my arms and stare into her brown eyes, she will smile at me revealing one dimple on the left cheek. She will wiggle in excitement. And I will tell her she has no idea how many blessings she has brought into our lives in her few months of existence. At 11.45pm, everyone is tucked in and in deep sleep. The hubs is away and so I have both kids sleeping in my room. I set aside what I will need to carry for my trip tomorrow and I set my alarm to go off 4.00am. I black out at 12.30am. After what feels like five minutes, the baby wakes up for a feed. I stretch my hand and reach out for the phone from the bedside table to check the time. It’s 4.40 freaking am!! I told you guys this baby is God’s gift and not just in the obvious way. How the hell did I not hear the alarm? Turns out I was so tired and subconsciously turned it off immediately it came on at 4.00am, and I had no memory of that! Has that ever happened to you guys? Have you ever been so tired to the point of turning off the alarm and have no recollection of it all? I need to be out of the house in 20 minutes! I take 15 minutes to feed her and use an extra 10 to skid around the bedroom throwing clothes in the suitcase and to take a two minute shower. At 5.25am, I kiss both babies goodbye as I call an Uber. Of all the days, technology chooses to sort of fail me today. My location is not clear so the cab guy goes to a different apartment. By the time he gets his bearing, it’s 5.35am! I am sharing the ride with a friend who lives around the corner. She has been calling me relentlessly by the way as I was meant to pick her up at 5.15am. Thank God for clear roads at this hour. I swear this driver must be from the coast. What with the way he is driving at 20kph despite my several pleas for him to speed up and my repeated statements about how I will miss my flight. I am totally giving this one two stars at the end of my trip. We finally pick my friend up and head to the airport. The driver uses the weirdest routes and my friend wants to strangle him. I think he is new at the job. We get to the domestic departures at 6.10am and jump off the moving cab. “Sorry domestic departures are at terminal 2 next to the tower”, says the attendant at the entrance. You gotta be kidding me! When was the last time I took a local flight? Luckily, our slow cab driver hasn’t moved an inch so we jump in and dash to the correct terminal. Let’s just say I only managed to catch my breath when I was buckled up in the plane. Oh yes, the breast pump is a to die for,,,,as a first time mum, it made my life sooo easy leaving my 3 months old daughter. It made me feel less guilty every morning ! Tell me about it. We all need a moment away from our kids, even the infants, without feeling like irresponsible parents.Besides that, for people who have to resume work before the kid turns 6months then they have to invest in a breast pump to keep the milk supply going on. 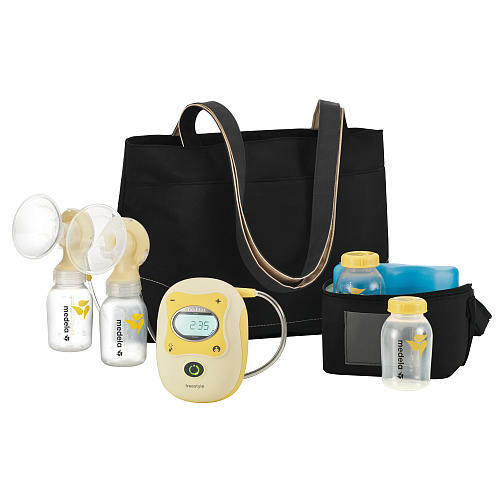 I have that exact Medela breast pump!it is the best thing ever.i have used it for both my kids and it still looks new!! Congratulations on the bold step!!! Medela is the truth Mary! Used mine for Xena, lent it to two of my friends and now using it for Xia. That’s four kids and it is still in top notch condition! How much is the Medela pump? I bought mine four years ago for 100 pounds (about Ksh 14,000 then) from Mother Care UK. It must be way higher than that now but not sure of the price. I hope you are loving your new place of work. I had no idea that resignation is that daunting until last week! Thanks for the wishes. Sleep well ?